The blockchain landscape has been growing at an exponential speed with new innovations launching on a daily basis. Recently, big names like Facebook and Amazon have begun diving into the ecosystem and leading the way for others to explore as well. This wave has prompted a range of traditional financial and technology leaders to get involved, in addition to some impressive newcomers. A lot of well-known executives are often discussed when looking into the blockchain and cryptocurrency world, such names at Vitalik Buterin (the founder of Ethereum), Marc Andreesen (the creator of the first web browser “Mosaic” and an early bitcoin proponent), and Alex Tapscott (CEO of Northwest Passage Ventures). But, with so many well- known names, we often don’t realize how many people are behind the scenes making a huge impact. The below are some of the rising stars in blockchain and cryptocurrency and by following their progress, we can get a better snapshot as to where the industry is headed. Alan Lim – IBM, Blockchain Garage: Alan heads IBM’s “Blockchain Garage” for the Asia Pacific region. 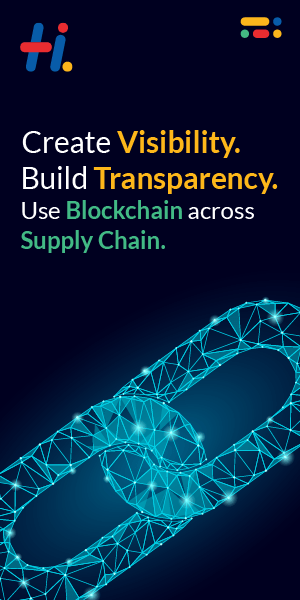 The Blockchain Garage is an IBM based consultancy that helps clients explore new blockchain based business models and get them ready to go to market. Alan and his team are crucial because they are allowing large businesses, startups, and even governments to not only better understand the landscape, but also provide solutions allowing new startups to enter successfully. IBM has long been a proponent of blockchain technology and while creating benefits across the board, Alan’s contributions will help shape entire industries. David Marcus – Blockchain Lead, Facebook: David was brought from leading Facebook’s Messenger group, to spearheading their recently created blockchain research group – which will sit under their emerging platforms division. David will have an immense contribution to the space as he is able to bring a joint experience in understanding blockchain capabilities, in addition to deep expertise within the social media space. As major media platforms are trying to discern how to deal with privacy and transparency issues, his work may be able to show how blockchain technology can help. It is also a major win for tech startups to have experienced executives entering the industry to provide oversight for new development. Phillip Hutchens – CTO Storj: Storj was one of the first and most well-known innovators to utilize blockchain technology to take on the digital storage industry in a way that could provide safety, encryption and effectiveness. Storj’s early leadership helped to showcase just what blockchain technologies could bring to the table in a way that disrupted previous tech businesses. Phillip’s contributions to overseeing the technology for Storj, has meant real world application that can be seen, understood and actionably utilized – a rarity in the developing landscape. Gianluca Corbellini – CEO Hive Power: Gianluca has been a massive proponent of the ability for blockchain to help create a better functioning energy industry. He comes from an interesting academic background, as a previous lead researcher at the University of Applied Science and Applied Arts of Southern Switzerland (SUPSI). Gianluca also worked as asset manager for solar parks for E.ON, one the biggest utility in the world. Now with his start-up, Hive Power, he is helping to provide a turnkey solution to allow anybody the ability to create and manage energy communities on the Ethereum blockchain. In essence, allowing energy to be shared and traded in a way that is economic, sustainable and safe. Gianluca brings a needed academic background to the landscape that may help to inform and educate for generations to come. Interested in getting involved with featured rising star Gianluca Corbellini’s Hive Power project? Learn more about The Hive Token (HVT) today! Dan Morehead – CEO Pantera Capital: Dan is the founder and CEO of Pantera Capital, a San Francisco based venture capital firm that invests in new and established cryptocurrency startups. Dans’ role is absolutely crucial from the standpoint of allowing startups and innovation to flourish by gaining access to traditional sources of capital and providing deeper investment in the ecyosystem. By being able to vet and understand disruptive organizations in the digital currency and cryptocurrency landscape, Morehead can help to bring needed growth in a smart and strategic manner. Blockchain technology yields endless opportunities for innovative ideas to stretch and expand the possibilities of what diverse industries can create and imagine. The industry has become so vast and deep predominantly because of the inventive minds that aren’t afraid to push boundaries. These unsung heroes are the now and the future of blockchain.